Mercedes-Benz has officially unveiled the latest generation of its Audi A3 and BMW 1-series rival, the Mercedes A-class. Larger, more efficient and more technologically advanced than its predecessor – with an intriguing new engine and a very impressive interior – Mercedes-Benz says the new A-class “completely redefinies modern luxury in the compact class” – and it goes on sale in the spring. Available initially as a five-door hatchback like its predecessor (a four-door saloon will be along later, with a more rakish CLA and more rugged GLA inevitably following), the new A-class is one of the first cars to display Mercedes’ latest design language, something the brand calls “Sensual Purity”. While that description might make you seek out the nearest bucket or bush, the result is a car that’s visually identifiable as a Mercedes A-class but features less visual clutter, with cleaner surfaces and slightly more comfortable proportions than its slightly awkward-looking predecessor. It’s more aerodynamically efficient too. As it is with several other recent Mercedes models, the company is claiming class-leading aero with the new A-class, with a drag coefficient of 0.25 – not long ago, the preserve of teardrop shapes like the Prius. Small aero elements around the wheels help reduce turbulence while a louvre system behind the grille also contributes to reducing drag. The aero changes should aid performance, economy and cabin refinement. The biggest change is inside however. The last A-class marked a step-up for C-segment interiors but was a little busy and claustrophobic for some, and the infotainment screen always looked like an afterthought. In its latest iteration, the A-class cabin moves the game on a lot further, taking inspiration from the larger E-class and S-class in both its functions and its details. The dashboard is dominated by a wide flat-panel display which, depending on model, contains a pair of 7-inch screens, one 10.25in and one 7in, or a pair of 10.25in screens displaying the instruments and the car’s infotainment functions. It’s far better integrated than the old display. Albeit still free-standing, its floating appearance is a lot more convincing than before. It also gives the dashboard a clean look, punctuated only by jet-style air vents and a thin strip of physical switchgear. The centre screen responds to touch commands, while a centre console control and voice command of various systems should allow drivers to pick their favourite method of interaction. The display can be rendered even cleaner by a “silent” instrument option in addition to traditional and sporty appearances. “Silent” presents just a minimal speedometer, clock and fuel gauge and blanks out the central touchscreen, for minimum distractions – ideal for night driving, for instance. There’s more than that, too. A head-up display will be optional, while an ambient lighting package will join it on the options list giving you 64 colours to play with, and as Mercedes’ images show, the backlighting helps accentuate the unique aspect of that large central display screen. Elsewhere, passengers will find a larger and airier interior – there’s more shoulder, elbow and headroom than before, larger rear doors for better access, and less cladding for the pillars to allow better visibility. The boot too is 29 litres larger at 370 litres (with a larger boot aperture) and there’s more stowage in the centre console – though we’d expect this to vary depending on whether the buyer opts for a manual or automatic transmission. Underneath the A-class is relatively conventional and much like its predecessor. All cars feature MacPherson struts up front, while rear suspension depends on the specification. 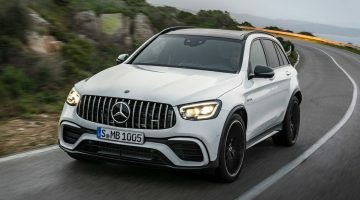 The basic models (A200 and A180d) feature a simple swing arm and torsion bar setup (chosen not just for cost, but also simplicity, light weight and better packaging), but models equipped with Mercedes’ 4Matic all-wheel drive use a four-link setup at the rear. 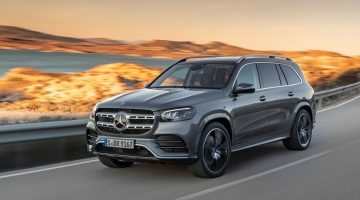 The structure is stronger and more rigid than before – and still predominantly steel, with up to 60 per cent high-strength steel – but Mercedes claims no weight increase for the body-in-white. The rigidity changes also bring about improvements in refinement, while an active bonnet improves safety for pedestrians, in addition to the occupants’ safety. 16-inch wheels are standard, as is “comfort” suspension with steel springs and passive dampers but a sportier, 15mm-lower “comfort” setup is also available. Active dampers are an option, as are various larger wheels (up to 19in) that no doubt provide a sportier feel at the expense of ride quality – though hopefully the new Mercedes A-class will handle all surfaces better than its firmly-suspended predecessor. Steering is electrically assisted and has been designed in such a way that the A-class’s optional semi-autonomous systems can control it automatically – while an optional Driving Assistance package has the ability to compensate for torque steer, crosswinds, road cambers, and even apply opposite lock as the car oversteers. Three engines will be available from launch – two four-cylinder turbocharged petrols, and a four-cylinder turbocharged diesel. The entry-level engine in the A200, given the in-house M 282 designation, is a 1.33-litre turbocharged four with cylinder deactivation and a petrol particulate filter, developed in conjunction with Renault. It makes an impressive 161bhp and 184lb ft of torque and comes with either a six-speed manual or 7-speed dual-clutch transmission. Unfortunately, Mercedes doesn’t seem to have any grander plans for this engine – it’s unlikely to be used in the C-class in future and no higher-power variants are planned. Next up is the A250’s “M 260” 2-litre four-pot, making 221bhp and 258lb ft of torque, thanks to variable valve timing, a single turbocharger and once again, a standard particulate filter. Last of the initial engine options is a 1.5-litre, four-cylinder diesel badged A180d. The OM 608 engine doesn’t look hugely impressive on paper, with 114bhp and 192lb ft at its disposal, but it’s as advanced as the other engines in the range, not least for introducing AdBlue exhaust after-treatment to the class. A 7-speed dual-clutch transmission is standard across the A-class range, though a 6-speed manual is available on the A200. The A250 uses a revised version of Mercedes’ existing 7G-Tronic gearbox, appropriate for its higher power output, while a new, lightweight 7G-Tronic has been developed in conjunction with Getrag for the A200 and A180d. All-wheel drive is an option, with an electro-mechanical rear differential and the ability to send up to 100 per cent of the engine’s torque to either axle. Mercedes’ Dynamic Select switch can be used to vary the behaviour of the engine, differentials and gearbox along pre-defined parameters, along with the suspension and steering on relevant models. A plug-in hybrid version is in the pipeline, but Mercedes will reveal no further details on this car at this stage. All new A-classes will come as standard with a technology Mercedes calls Adaptive Brake – something until now limited to the brand’s much more expensive and luxurious models. As well as the ability to alter the braking split depending on factors like weight and axle load, the system can prime the brakes for an emergency stop by detecting a rapid transition from the accelerator to the brake pedal, and it can lightly, occasionally apply the brakes in wet weather to skim water off the disc surface for safer stopping. There’s also a brake hold function for hills and traffic queues. Various emergency braking functions are also included, Attention Assist helps warn the driver if they’re getting distracted or drowsy. Distronic cruise control, part of the Active Driving Assist package, now comes with an Active Steering Assist function, and the Distronic function can automatically adjust speed according to local limits. If you can think of a semi-autonomous assistance function, the new A-class probably has it – from adding steering input to avoid a pedestrian to adjusting the brakes and seatbelts if an impact is imminent from the car behind. A key element of the new A-class is its interior technology, notably something the company calls MBUX – the latest generation of its infotainment technology, which ties together all user experience functions. 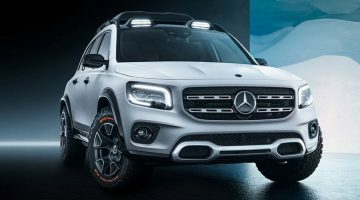 As well as the touch and voice commands already mentioned – the latter of which will adjust everything from temperature to satnav destinations by using the command “Hey Mercedes” and conversational terms like “I’m cold” or “I’m hungry” – it also features intelligent learning. It will, for instance, recognise common choices by its driver and present them as options when the driver starts the car. If you call the same person every Thursday morning for instance, it will give you a call shortcut on the touchscreen, and if you go shopping each Friday night the route will be pre-programmed ready for when you leave work. There’s a global search function too – Mercedes gives the example that the search “Berlin” might return directions to the city, songs by the band, or contacts who might have that name. It’s a sign of just how much technology the new A-class packs in that we’ve only really scratched the surface of its features and options, but the proof of concept will of course be when we finally get our hands on the car itself. That will happen in the next couple of months, when we’ll discover whether the A-class is as big a step forward on the road as it looks on paper.